I really enjoyed Rogue One! I say that despite the kids sitting behind me whacking my chair over and over again! But one thing that became clear in the early moments of the story was there was more story to tell between the beats on the back of my chair. That could especially be seen with Lyra Erso, who had only a few moments in the film as we see her years before the Battle of Yavin. 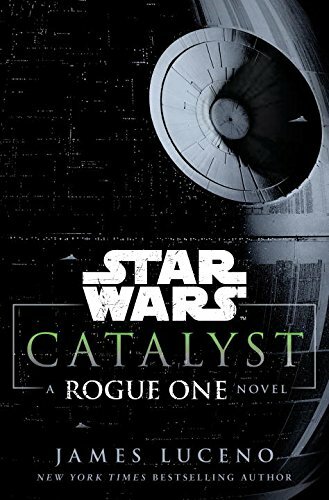 Catalyst: A Rogue One Novel by James Luceno describes how Galen Erso came to be one of the chief engineers of the Death Star. The novel tells the story of a young brilliant man in love with science and an adventurous nature guide. A pacifist, Erso focuses his research into Kyber crystals, which power Jedi lightsabers, and how they can be used to harvest vast amounts of energy with the hope of bringing power to economically disadvantaged worlds. Erso's colleague Orson Krennic serves as an rising power-hungry engineer in the Empire's Advanced Weapons Research department. Despite his inability to get Erso involved in his ultimate project, he knows that Erso is the key to the weapon for his most ambitious project yet. Luceno tells a story of manipulation and lies as Krennic plays on Erso's emotions and beliefs to gain his aid. And the story shows how Erso and his family escaped Krennic's control to be found again on the movie big screen. Are you looking for a Star Wars book with plenty of action? Then go read Ahsoka! This is a book light on action and big on personalities. 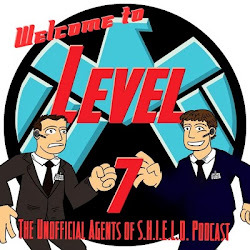 The battles here are battles of will as Krennic turns Galen, as Lyra grows weary of Galen's old friend, and as Tarkin and Krennic struggle for control of the Emperor's battle station. In all of the maneuvering found in the book, the key is the weapon Without the super laser to fit the scope of the Empire's newest machine of death, it will literally lack the destructive power required to declare it a success. And Krennic fully puts his career behind the belief that Galen Erso can reluctantly build them the needed weapon. That is the real story, one of emotions and relationships. There are rarely blasters, despite a few smugglers including Saw Gerrera, who have to escape some harrowing scrapes. I will admit, even as a father I did not always connect with Galen Erso. He is honestly somewhat an unapproachable personality lost in his science. For me the hero was Lyra Erso as she struggles to hold her marriage together, protect her husband and introduce her daughter Jyn to a bigger physical and spiritual universe. Many said that reading Catalyst: A Rogue One Novel enhanced the experience of seeing Rogue One in the theater. Honestly, I can see how it could have made viewers feel better prepared. I expect the next time I see the movie I will see Lyra Erso in a new light, as a woman who truly fought to protect her family. But despite the enrichment, I do not believe this book will be for everyone including those looking for a high action science fiction story. Between Books - Would You Like Magic with That?